The Floating Pool Chlorinator dispenses a steady amount of chlorine to your above ground or inground swimming pool. The dispenser holds either 1'' or 3'' slow dissolving chlorine tablets, and disperses it evenly throughout the pool water. The adjustable ring allows users to choose the amount dispensed for correct chlorine levels. 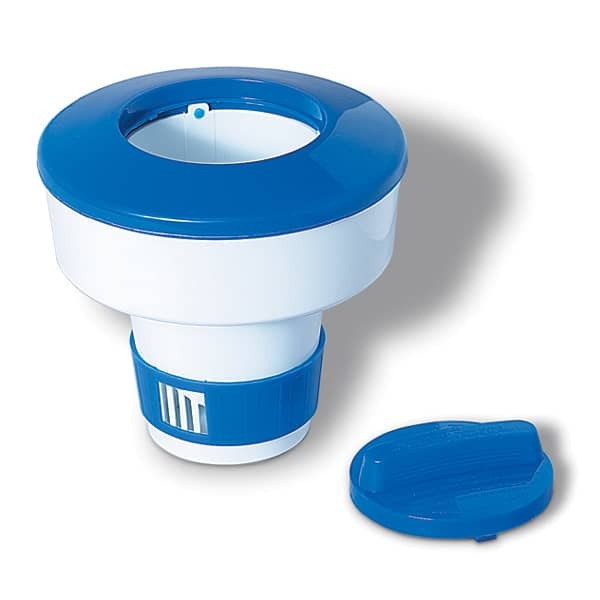 The locking cap ensure safety of both chlorine tablets and swimmers.